Inger Jensen claims to have given his testimony also to the Holy See and that the material is in the hands of the commission that is officially investigating the veracity of the Medjugorje phenomenon. “This place is located west of Istanbul, at a lower distance from the one between Istanbul and the easternmost border of Turkey. It is located in a geographical area with a nature and climate very similar to what we have in Turkey. But it’s not in Turkey, “said Shushud. The distance between Istanbul and Dogubeyazit, the easternmost point, in Turkey, is 1289 km (801 miles). There are 955 km (593 miles) from Istanbul to Mostar, the nearest major city to Medjugorje which is 25 kilometers (15 miles) away.Perhaps the prediction about the place of the apparition was not so precise, but we can not say the same about the length, the particularity and the importance of these apparitions. “You will see that Mary will suffer, wait, hope and continue to call for a long time, as well as invite everyone to follow the path of peace. During this period Satan will have more freedom of action for his plans of impiety, chaos, suffering, death “, urges Shushud” Mary will be forced to assume a stand-by position during which she will suffer and will be rejected by many. There will be earthquakes never seen before, storms more violent than ever. Thunderstorms, floods, contagious diseases. And societies will be perverted by selfishness, materialism and violence, “continued Shushud.” If Mary and her plans are accepted quickly, suffering will be short-lived. If, however, Rome does not respond within the time granted by God for freedom of choice, it will mean that the time offered for peace, joy and love will have been in vain, and humanity will suffer the consequences of Satan’s plans. “It is always Inger Jensen who tells the prophecies made in 1980 by Hasan Shushud. If we accept this testimony as reliable, the responsibility entrusted to the Holy See is truly great. Blessed Pope John Paul II was a staunch supporter of the apparitions in Medjugorje, but it was not for him to decide the case. “Thus, we realize that God has entrusted the Roman Catholic Church with the great responsibility of accepting Mary in the name of us all. This also means that if this Church welcomes Mary into the truth, all of humanity has accepted it, so we have an open door to receive the help that God wants to give through Mary “. “For this reason, I have always prayed for Rome,” said Hasan Shushud according to the Danish pilgrimage leader. The words of Shushud seem to correspond to the messages given by the Gospa. “Satan standing before the throne of God asked and obtained permission to use all his power, in order to try to wrest humanity away from God. (…) God granted Satan 100 years for his new plan . Thus, the 20th century is under the power of Satan “, Hasan Shushud had already said it in 1980 and Mirjana said it in a 1982 message, thus confirming the vision of Pope Leo XIII in 1887. “At the beginning of this century Satan, first of all, tried to” teach “people through psychologists and psychiatrists that he, Satan, does not exist, and that all that men previously considered evil was not bad, but only the result of a lack of development. Man becomes more intelligent, as his intellect becomes more mature, during the ongoing development, he will automatically choose what is good “. “After this message, Satan could work on his project more freely and managed to hide behind the lie that he did not have, which was therefore protected. Then he began to destroy the family and all inherited moral codes, “continues Inger Jensen’s written statement concerning Hasan Shushud’s claims. “Satan wants to destroy the family. The family is in crisis. To pray! 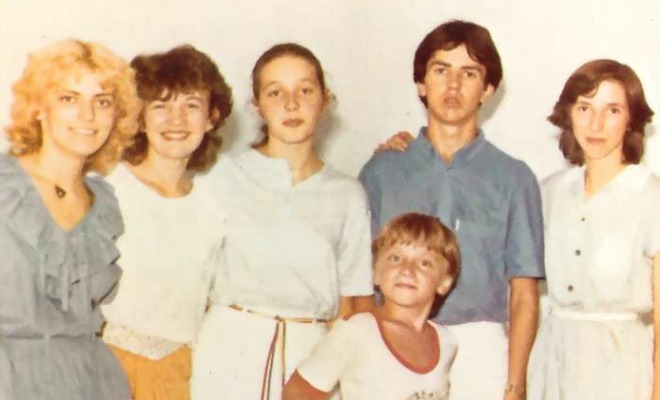 “, The Virgin Mary told Medjugorje the visionary Ivanka Ivankovic-Elez on June 25, 1995. In the first days of the apparitions of the Virgin, Ivanka was also entrusted with the special request to pray for the families of the world. Even the visionary Ivan Dragicevic has often complained about the current moral state of the world. “Mary will lead the battle against Satan and, collaborating with the Archangel Michael, will lead man to God. These soldiers, mostly women, will come from all over the world. Some have been prepared already from the most tender childhood for this “their” special task, without realizing it, “said Hasan Shushud in 1980. “Dear children, I want to invite you to begin, from today, to live a new life. Dear children, I want you to understand that God has chosen each one of you in his plan of salvation for humanity. You can not understand how great your person is in God’s design. Therefore, dear children, pray so that in prayer you will understand what you must do according to God’s plan. I am with you so that you can achieve everything. Thank you for answering my call! “, Said the Virgin Mary on January 25, 1987, in a message recognized by experts as a milestone within the Medjugorje corpus. “Dear children, for years I have been calling you through the messages I am giving you. Children, through the messages I wish to create a beautiful mosaic in your hearts, so that I can offer each one of you as an original image to God. Therefore, children, I desire that your decisions be free before God, because He has given you the freedom. mani mondoPregate, therefore, so that you can decide only for God, without any satanic influence. I pray for you in the presence of God and I ask for your abandonment to God. Thank you for having responded to my call! “, Said the Virgin Mary on November 25, 1989. “Whatever happens, do not be afraid! In the end, God wins. Thus says the Bible and also the Koran. Those who are close to God and to Mary will be given all the help they need. It does not matter what difficulties they have to go through: they have nothing to fear, “said Hasan Shushud according to Inger Jensen. 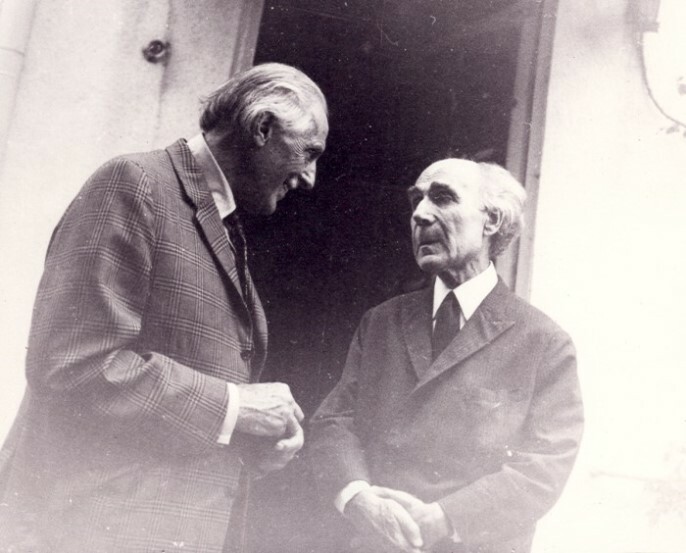 In fact, the same visionaries of Medjguorje have repeated very often. ← Saturday 24th March 2018… Today’s Holy Gospel of Jesus Christ according to Saint John 11:45-56. Medjugiorje: “United to Mary it is possible to go beyond time and space.”…Sr. Stefania Consoli’s powerful words are like a song that sticks with the head for the day and into the night that helps you rest. April is the month of Mercy! Here are the promises of Jesus linked to this time of grace. The leader of the Russian Orthodox Church on the coming of the Antichrist: “The Antichrist is a personality that will be at the head of the world wide web controlling the entire human race. January 8, 2019 ryanmysticpost Comments Off on The leader of the Russian Orthodox Church on the coming of the Antichrist: “The Antichrist is a personality that will be at the head of the world wide web controlling the entire human race. 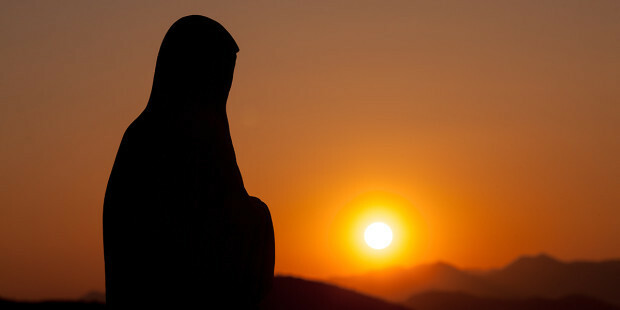 “Today we are talking about the 3rd secret of Medjugorje. It will be a great sign, which will convert many” Already today a webcam is constantly resuming the point where it will appear. 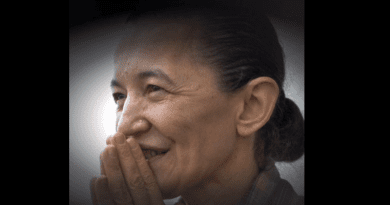 Details: Purgatory Explained by Visionaries Who Have Been There…Sr .Lucia: “Some will be there until the end of time.”.. Medjugorje Visionaries speak of “Fog” and a need for prayer. October 30, 2018 ryanmysticpost Comments Off on Details: Purgatory Explained by Visionaries Who Have Been There…Sr .Lucia: “Some will be there until the end of time.”.. Medjugorje Visionaries speak of “Fog” and a need for prayer. New Jerusalem ‘Apartheid Road’ Opens, Separating Palestinians and Jewish Settlers…Hypocritical Left Wing Media Silent. January 1, 2019 ryanmysticpost Comments Off on New Jerusalem ‘Apartheid Road’ Opens, Separating Palestinians and Jewish Settlers…Hypocritical Left Wing Media Silent. 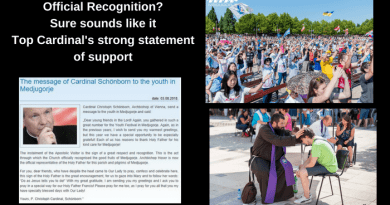 “Medjugorje is the best place in the world” … Young people talking about Our Lady will make your day – Youth Festival Interviews. 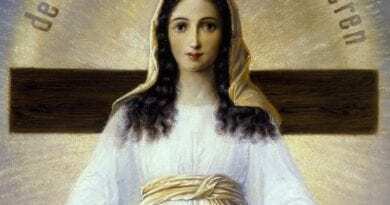 August 14, 2018 ryanmysticpost Comments Off on “Medjugorje is the best place in the world” … Young people talking about Our Lady will make your day – Youth Festival Interviews. 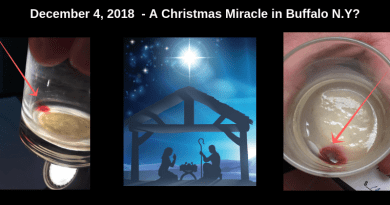 BY Michele Staskiewicz on Facebook On the morning of Nov. 30, 2018, the Feast of St. Andrew the Apostle, Fr. 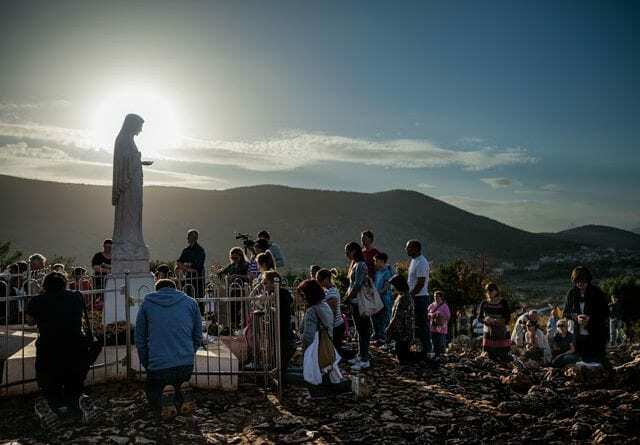 Vatican Announces Expansion to Medjugorje Shrine. Positive Trends Continue. 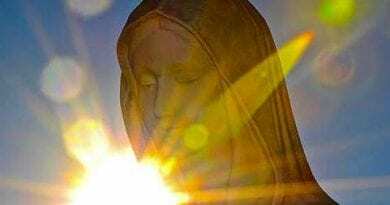 January 6, 2019 ryanmysticpost Comments Off on Vatican Announces Expansion to Medjugorje Shrine. Positive Trends Continue.